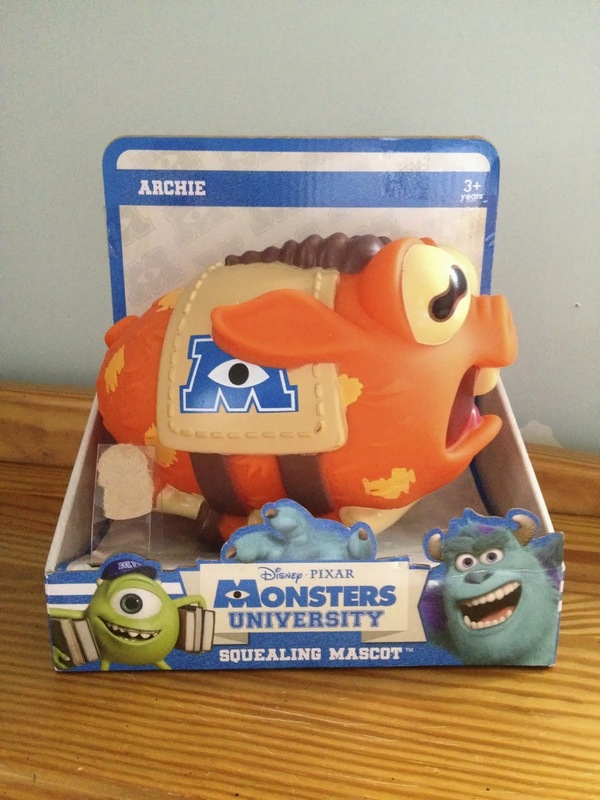 Currently at stores (so you've all seen this and probably have squeezed this), we have the Archie the Scare Pig "Squealing Mascot" from Spin Master! 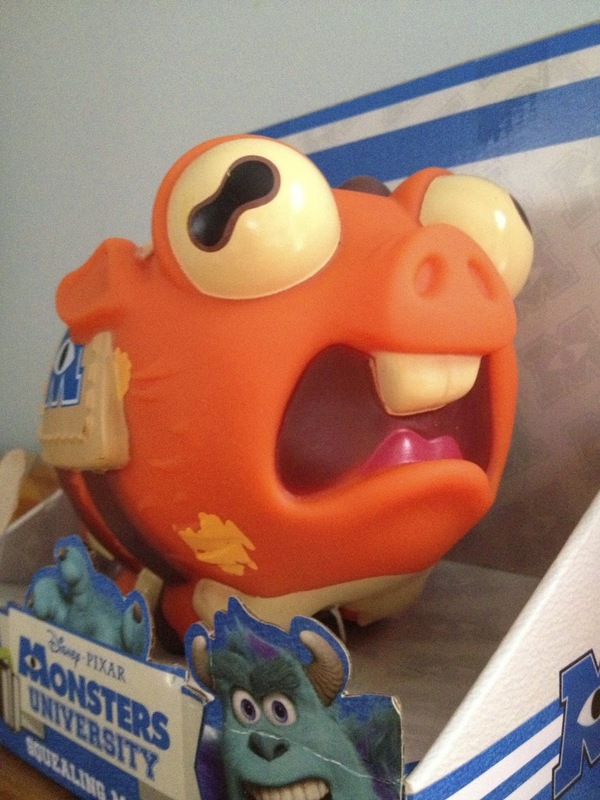 I knew I would have to get this little guy when I saw him revealed at Toy Fair back in February this year. He's just too funny! He's basically just a rubber throw toy (they call him a "pig skin" haha, clever) that "squeals" when you squeeze him! 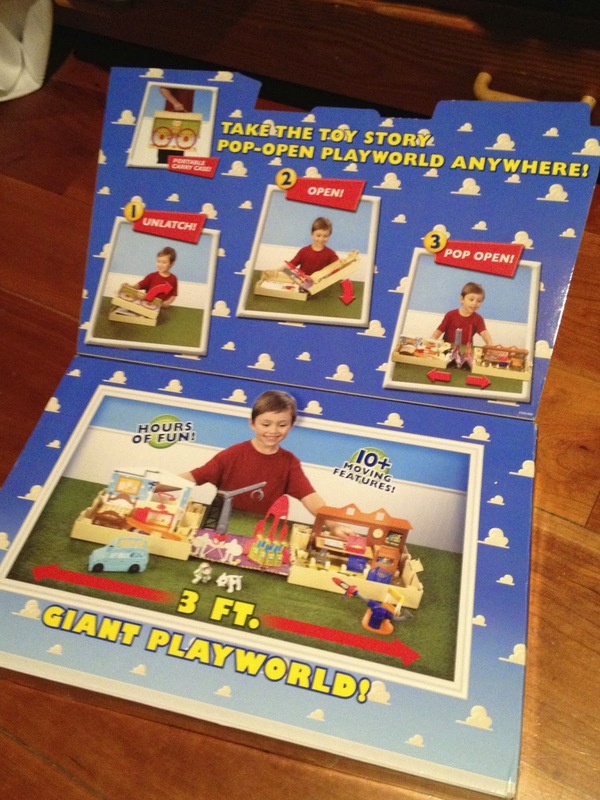 You can find him wat Walmart, Toys R Us, Target...really anywhere! He's about $15. If you think Archie is just hilarious for some reason (like me) and want your own to throw around for fun, you're gonna wanna pick this up! I thought this would make a fun post today (I'll have another post with an item from my collection later on as well). 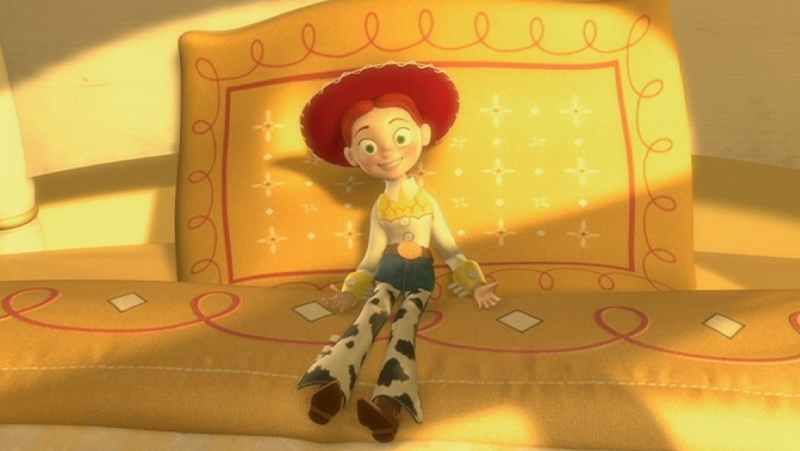 Years ago, ABC aired these Toy Story shorts (like 30 seconds to a minute) during their classic "One Saturday Mornings!" 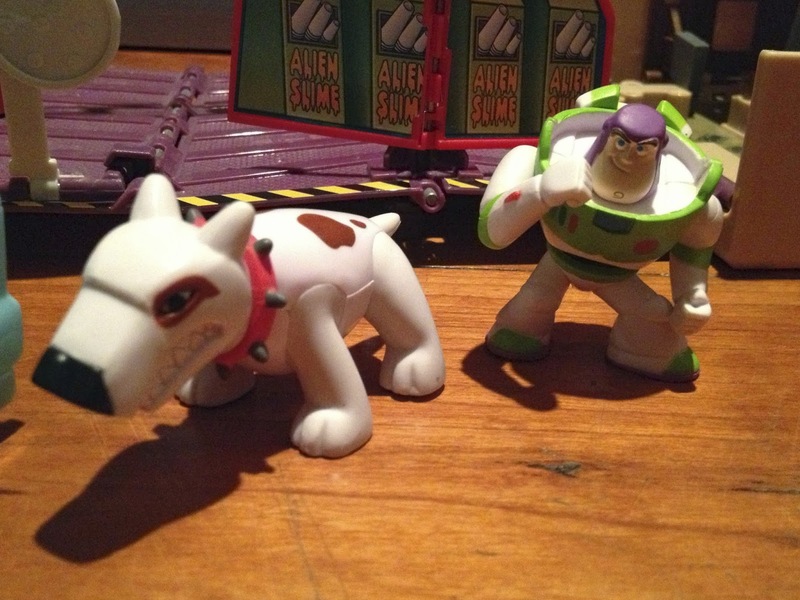 These are also included on the Toy Story DVD under "Toy Story treats". I know Woody is voiced by Tom Hank's brother Jim Hanks but I'm not sure what other characters are not voiced by the original actors. Sometimes it's hard to tell as they're pretty good at finding "sound alikes!" Many of you are familiar with these but others probably have never heard of these before. Either way, these are fun little clips to watch so check them all out below! The Toy Story Toon: Small Fry was not the first time we saw a "happy meal" version of Buzz. This one is pretty hilarious! It's called "Happy Snacky" and includes fast food versions of, not only Buzz, but Woody, Hamm and Rex as well. Enjoy! "Are Toys Afraid of the Dark?" 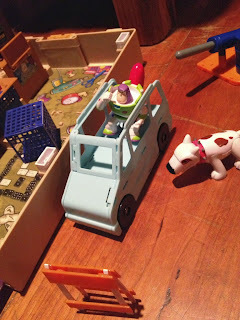 Toy Story of Terror is not the first time we've seen the toys tell spooky stories!Plus, we get to hear more from Shark who only had very brief dialog in Toy Story! "Woody Vs. Lenny Staring Contest"
"New Aliens on the Block"
"Why Doesn't Andy just get Cable?" And then there's this one which I couldn't get to upload here on the blog. 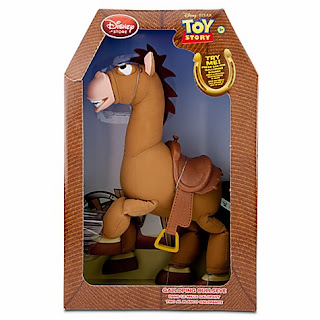 I guess Toy Story of Terror isn't the first time we've seen the return of a 12" Combat Carl toy. Here he is marching along with the green army men! What's your favorite? Any thoughts? Please comment below and thanks for dropping by! 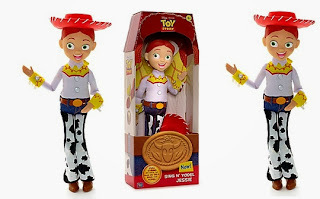 A few days back, I posted the Disney Store Exclusive Brave figurine set (seen HERE). I mentioned that Mor'du was one of the main characters that I had wished was in that pack but I totally forgot about the "Bear Playset" also from Disney Store! This is meant to go with the figurine set (as the figures included are the same size and have the same paint/detail/make as the other ones) so you can act out the climatic and emotional finale from Brave! The play set itself is designed after the most iconic and important location in the movie...the ruins. It includes Mum Bear, Merida with the tapestry and the evil (I know he was redeemed but still :) Mor'du. There is a little action feature where you can slide Mor'du back in forth to attack (using the small lever in the front). If you're a Brave fan, this is a definitely something you'll want to track down! It looks great on display with your other Disney Store Brave figures and is pretty fun. It's very easy to track down and has actually gone down in price quite a bit. You can find these on eBay (and maybe still at the store) for as low as $11.00. Thanks for visiting and stay tuned more updates every day! Here we have the Toy Story Collection Dolly from Toy Story 3! Once again, Thinkway's Toy Story collection has provided us with an almost near perfect replica of the character with certificate of authenticity included. The only thing that makes this one not 100% film accurate (there always seems to be some little detail missing) is the absence of her one tooth (as seen below in Pixar's official rendering)...but this is the best Dolly available so definitely pick this one up if you're trying to collect all of Bonnie's toys! 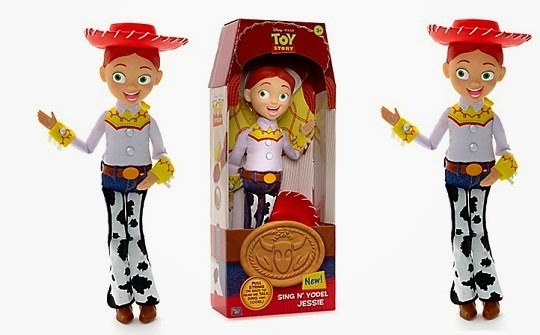 I mean, just look at the animated version of her above and compare to the toy below...it's just so spot on! 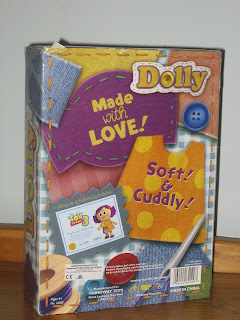 The expression, the texture, the materials used, the buttons, etc. It's almost like she jumped right out of the movie! 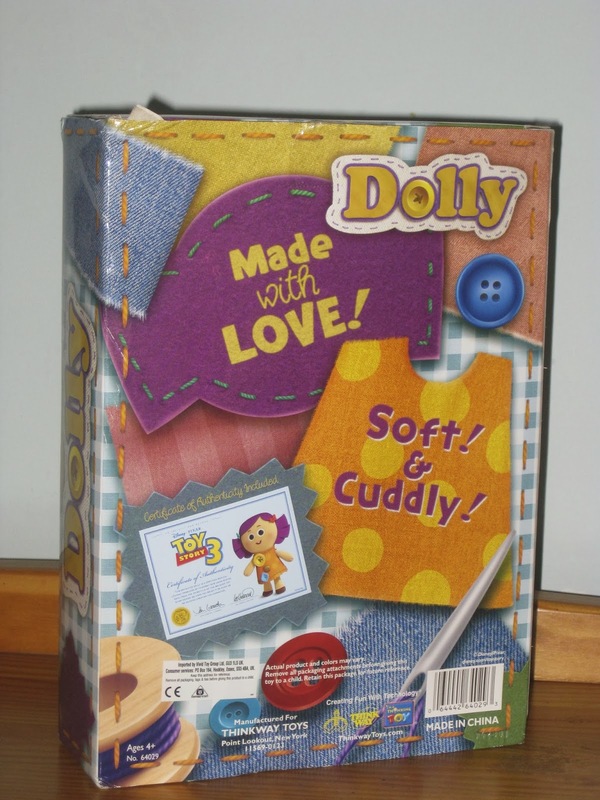 I'm really surprised to find that this Dolly is almost nowhere to be found online anymore! I checked my two main sources, eBay and Amazon and didn't even find one. I guess it has become pretty rare, unfortunately! 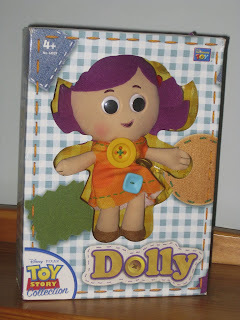 The only other version of Dolly ever made was the Disney Store plush version (seen below, image from Google and is not my own). This one of course is just a plush and is all made from the same soft/fuzzy material. 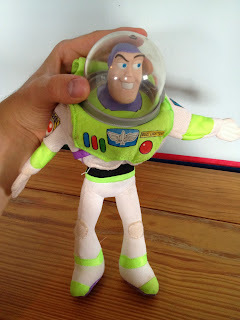 It's not really meant to be a replica, doesn't have felt hair, doesn't have plastic buttons/eyes, is a bit small in scale and so on...but it does have the tooth, haha! 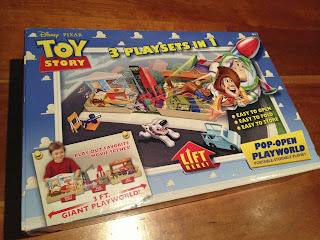 This one is still easy to find online and is the best alternative to the Toy Story Collection one, if need be. 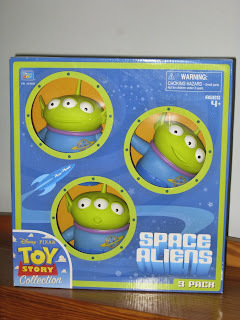 My coverage of the Toy Story Collection by Thinkway continues with this Space Aliens 3-Pack! 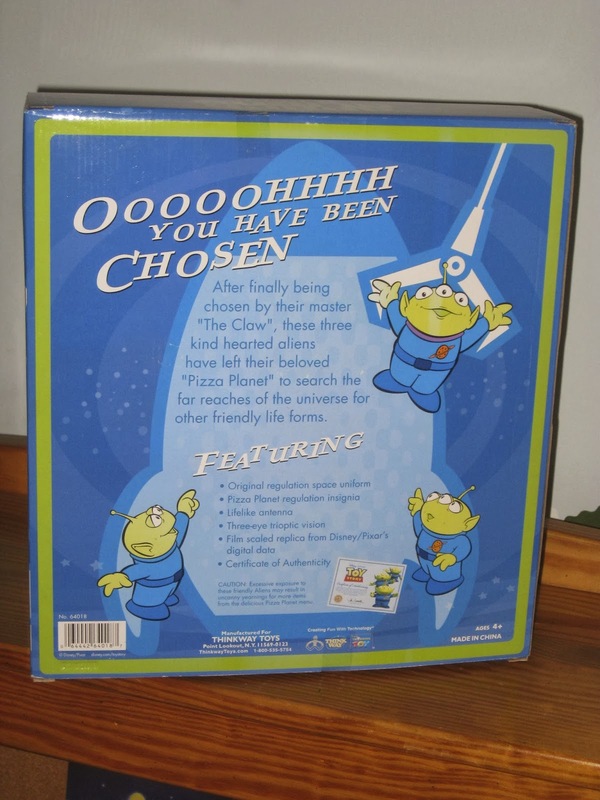 This TSC release of the Pizza Planet aliens was the first time you could actually get the movie size replica from the film. These guys are great! 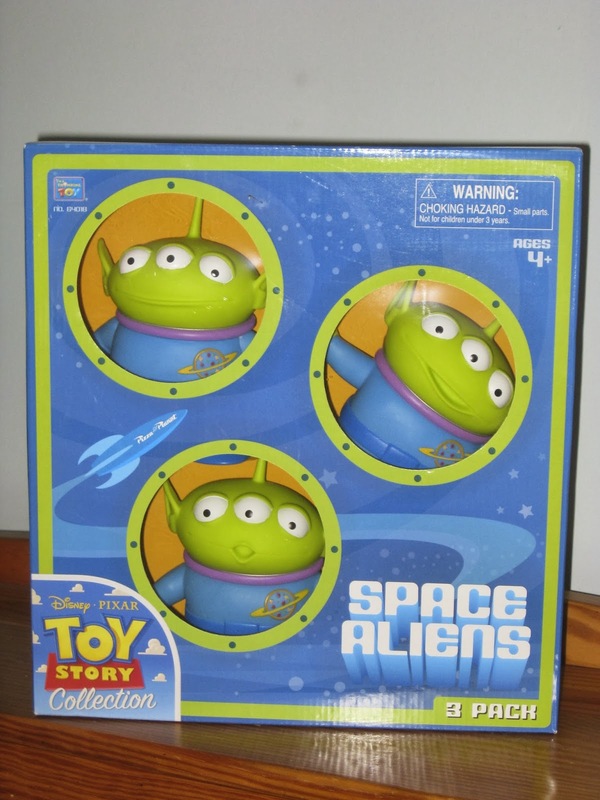 Of course the aliens in Toy Story, when in toy mode, all had the same facial expressions, giving them all slightly different poses in this collectible was a fun little touch. The main problem with these, as much as I love them, is that they don't squeak even though they're supposed to be exact replicas from movie! Bummer. How hard would it have been to make these little guys squeak-able? Oh well, it's still great to have all three of Andy's aliens on display with the rest of my Toy Story collection. It wouldn't be complete without them! Also, as always with the TSC, these guys come with a certificate of authenticity as proof that you have the best, most film accurate replicas out there! Additionally, these have also been released individually as single packs and were available exclusively at Target stores. Sometimes I still see this 3-pack and the individual packs randomly around but for the the most part these are pretty hard to find these days and sell between $75-$100 on Ebay. 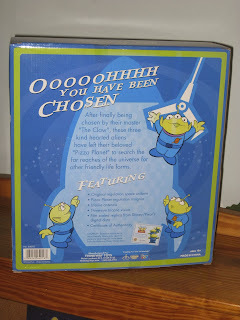 By the way, who else wants an actual replica of the Pizza Planet Crane Game at the Pizza Planet in Disney World where you can actually win these. I'm super surprised they haven't done that yet! 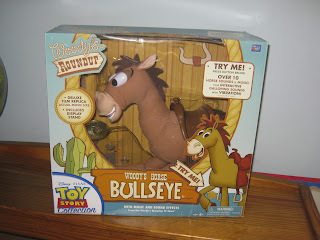 Today I'm gonna continue The Toy Story Collection with non other than Woody's trusted steed Bullseye! 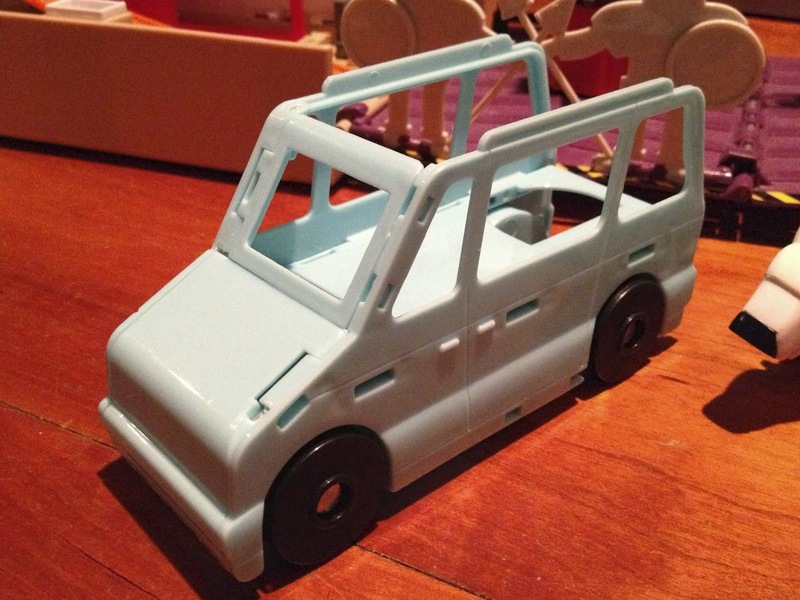 This is without a doubt the definitive Bullsye toy/replica...it's perfect! It's incredibly well made and the detailing in the stitching, design, materials and expression are just spot on and completely in line with the film. This is probably my favorite item from the TSC. Not only because it's, in my opinion, the most accurate of them all, but because I actually never had a Bullseye when I was little! Believe it or not, this was the first Bullseye I ever added to my full size collection. In 1999, when Toy Story 2 first came out, there was never an official, full size Bullseye released from Thinkway (Or any company for that matter). I remember really wanting one though and wondering why Bullseye never came out and when he would! 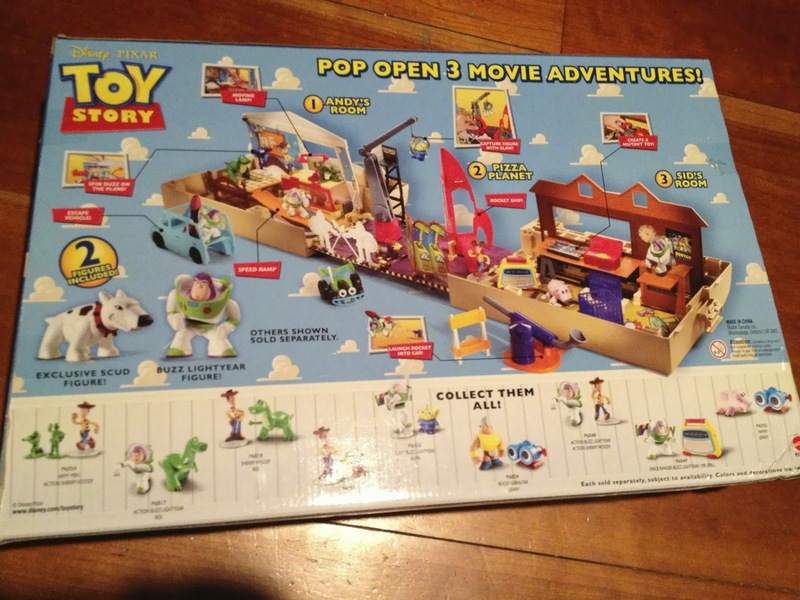 Yes, there maybe have been Disney Store and Disney Parks basic plush/bean bags over the years until this release, but I don't recall any movie detailed/size release until this Toy Story Collection one came out in 2010! 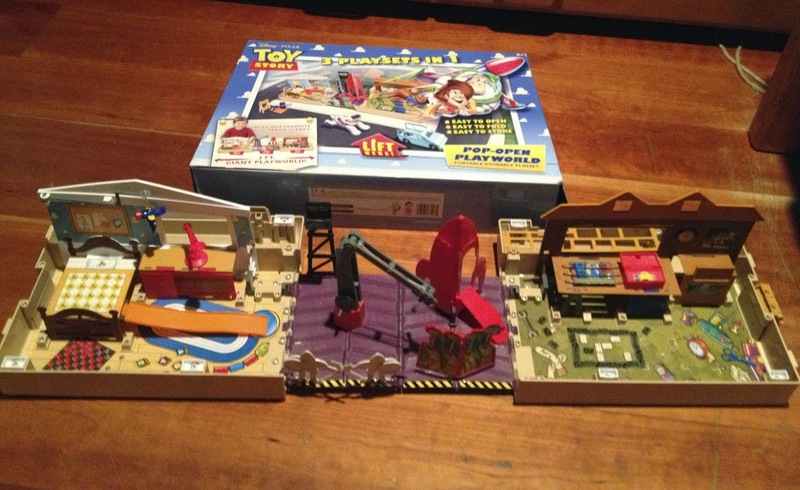 I'm pretty sure this was the first one that was released that has Bullseye's actual scale, materials, floppiness and other detailing from the film. 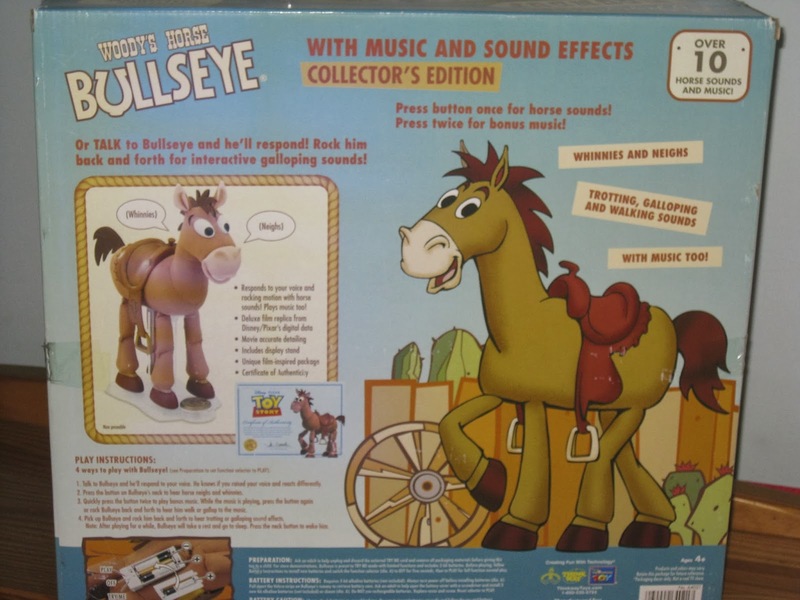 This Bullseye even has sounds (galloping, music, etc. which can be turned off), includes different modes of play and a fantastic display stand so you can display Bullseye while standing...which is awesome! The sounds are fun, but it's the ONLY thing that makes this not 100% accurate (but that is nitpicking). Like I said though, they can be turned off if you want it more like the Bullseye in the film! This Toy Story Collection Bullseye is not available anymore BUT he was re-released (under the renamed Toy Story "Signature Collection." He can currently and easily be found at Toys R Us stores...so check your local stores if you're trying to track this down! 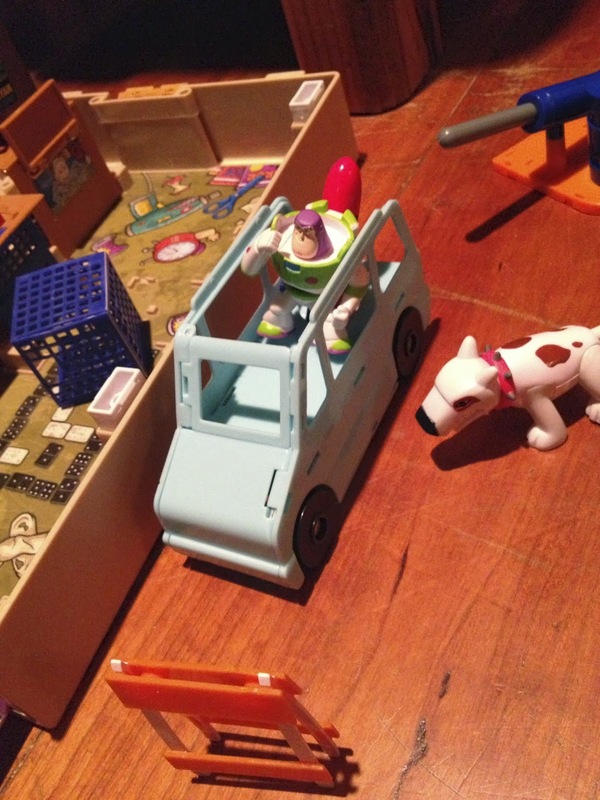 Chances are you'll find him right there in the Toy Story section. Since I didn't get a video of this Bullseye in action, here is a brief YouTube video from user "weaim2pleez" that shows off some of the sounds and features! 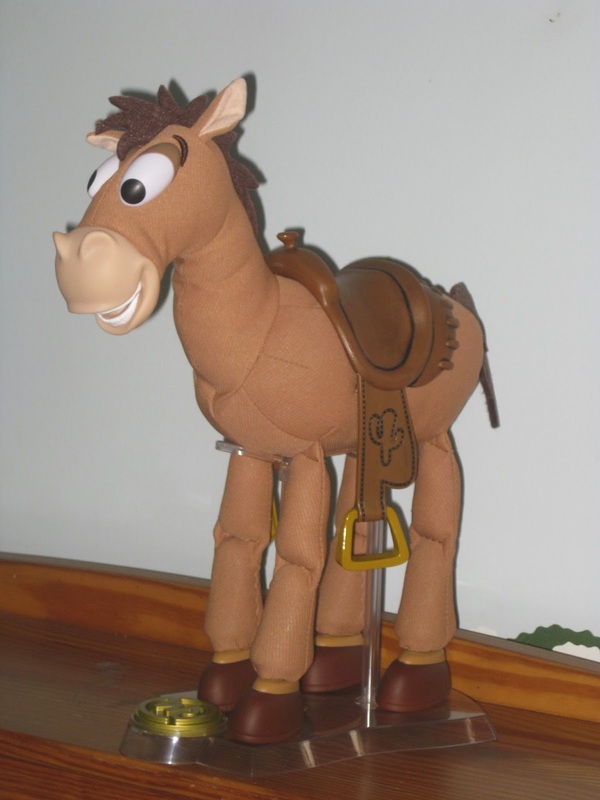 Also, I did just find this image on eBay of an original, 1999 Bullseye from Mattel but I can't tell how big it is! Could this have been the first, semi-film accurate size Bullseye that I just missed back in the day? 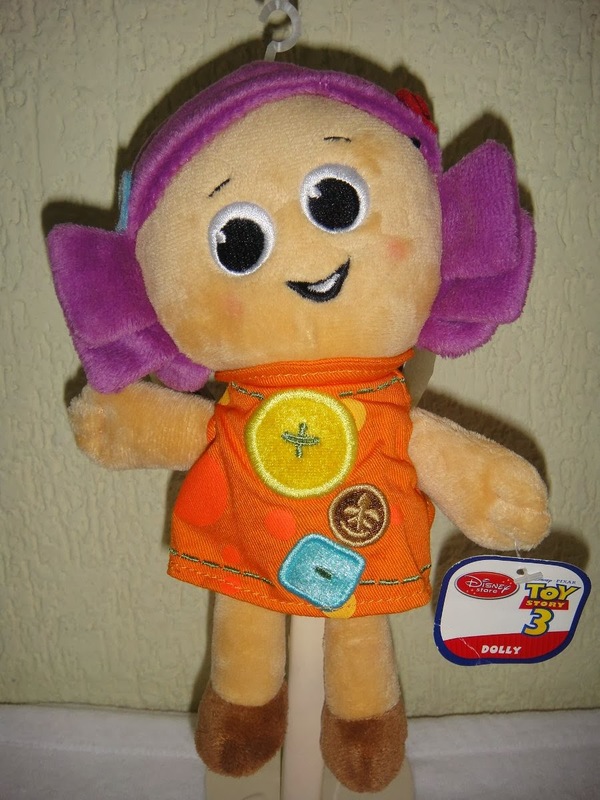 Or is this just a smaller, electronic plush that I would have passed up on? Anyone out there have or know anything about this one? One last note...Why has there NOT been a Toy Story Collection or movie accurate scale Stinky Pete released!? 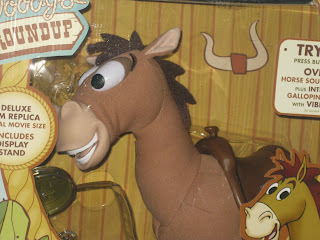 It still confuses me since he is one of the main characters in Toy Story 2 and part of the round-up gang. Not to mention he's the only one we actually see in his box! 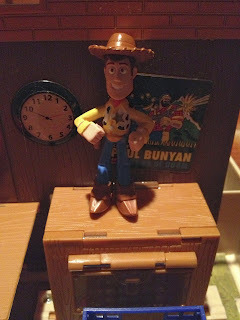 Does Disney think that he'll be a shelf warmer and not sell just like in the movie? Has anyone else wondered why we haven't seen a Stinky Pete as much as me? Any clue as if we'll see one soon? A Disney Store version (like they did with Zurg...it only took him 13 years to finally be released) would be perfectly fine with me. Lets hope we'll finally see one soon! 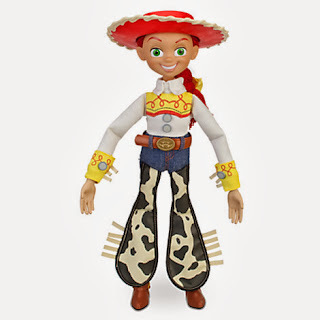 Here we have the Brave Deluxe figurine set that sold exclusively at the Disney Store/Parks! I've mentioned before, I really like these little PVC figure sets that the Disney Store releases. It's a fun way to get figure representations of mostly all the main characters. There are 10 figurines included in this set: Merida, King Fergus, Queen Elinor, the Triplet boys, the Triplet boys as cubs, Mumbear, Angus the horse and Lords Macintosh, Dingwall and McGuffin. The only really MAIN characters not included here that I wish were would be: Mordu', the Lords' three sons, the maid and the Witch (surprisingly, there are really no products out there for the Witch that I could find except for a pin and Vinylmation). If you've been to the Disney Store in the last year or so then you've have mostly likely seen this...it's not hard to find at all and has gone down in price quite a bit since. It was about $20 originally but you can now find it on on eBay for about $10. I also just checked the Disney Store's website and was surprised to find it no longer listed! Overall though, if you haven't gotten this yet, you won't have any trouble tracking it down right now. 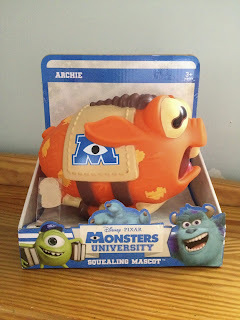 These figures are well made, detailed and great for display- a perfect addition to and a must add to any Brave/Pixar fan's collection. 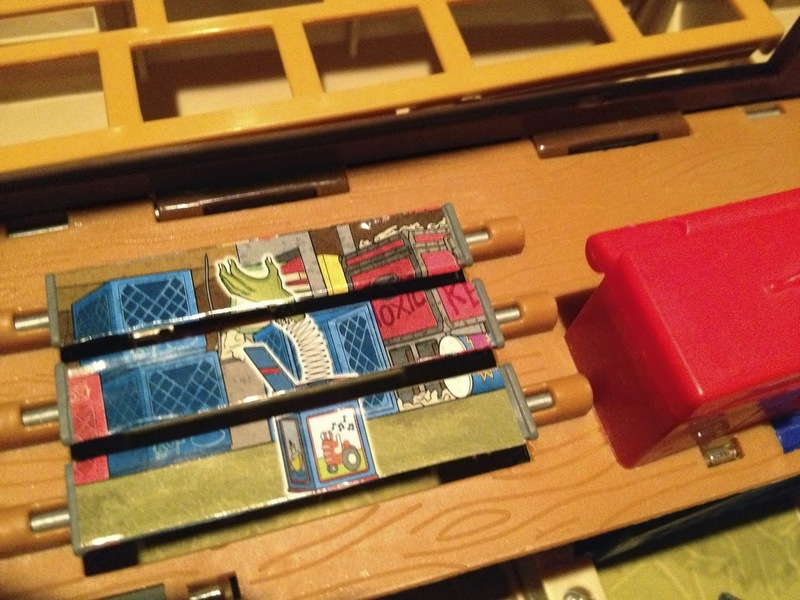 One more note, if you're looking around on eBay for this particular set, be careful not to get it confused with the smaller, six piece set. That one sells for cheaper and excludes Fergus and the three Lords. As always, thanks for checking out today's post and be sure to come back tomorrow for another item from the Toy Story Collection! 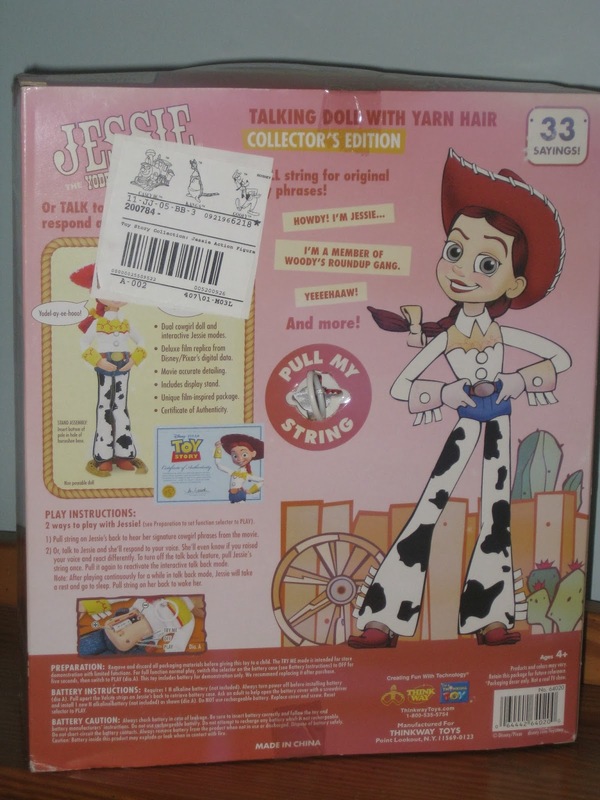 In today's post, we'll take a look at my Toy Story Collection Jessie and discuss other Jessie's that have been released over the years! A recent conversation with TJ from The Pixar Post inspired today's write up in which we discussed briefly about this Jessie and the question: Has a definitive version of this character been released yet? 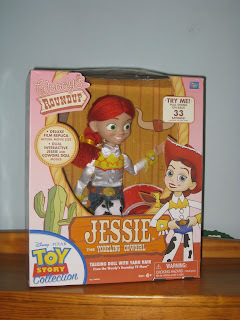 1st of all, the TSC version: This Jessie was released in the 2nd wave of the TSC in the Spring of 2010 (along with Mr. 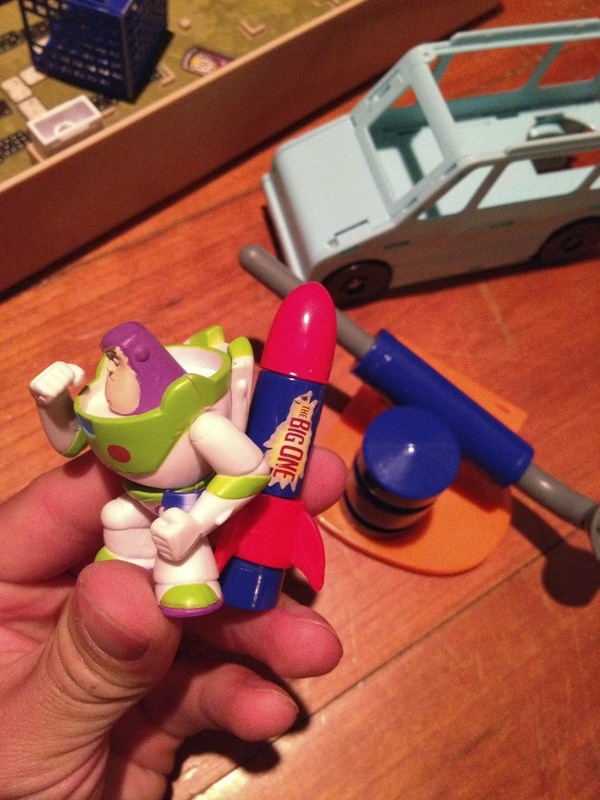 Potato Head, Utility Belt Buzz Lightyear, Bullseye and Lotso). Overall, this product is extremely well made. It is for sure the best made of all the Jessie's I've seen as far as quality goes...BUT I'm not sure if Thinkway got the head sculpt 100% on this one. Something is just a little off and it's hard to put my finger on it. 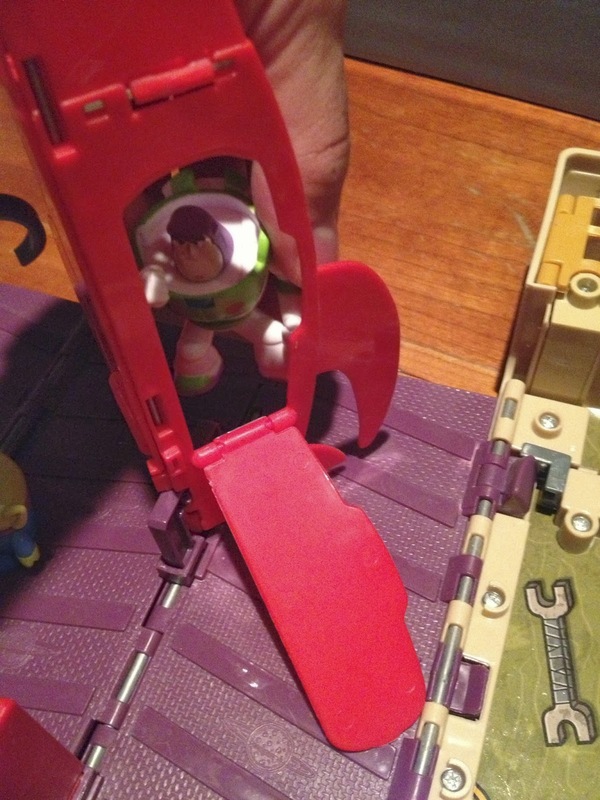 I just wish that, since this line is marketed as exact replicas from Pixar's digital data, that the faces of Buzz, Woody and Jessie were a tad more accurate to their expressions in film when they are being just a "toy" (screen shot seen below). I think it's really all in her smile..and maybe her eyebrows? It also could be the fact that her eyes are opened much wider in the film compared to this toy which has a little bit of eye lids showing. Any other thoughts you have? 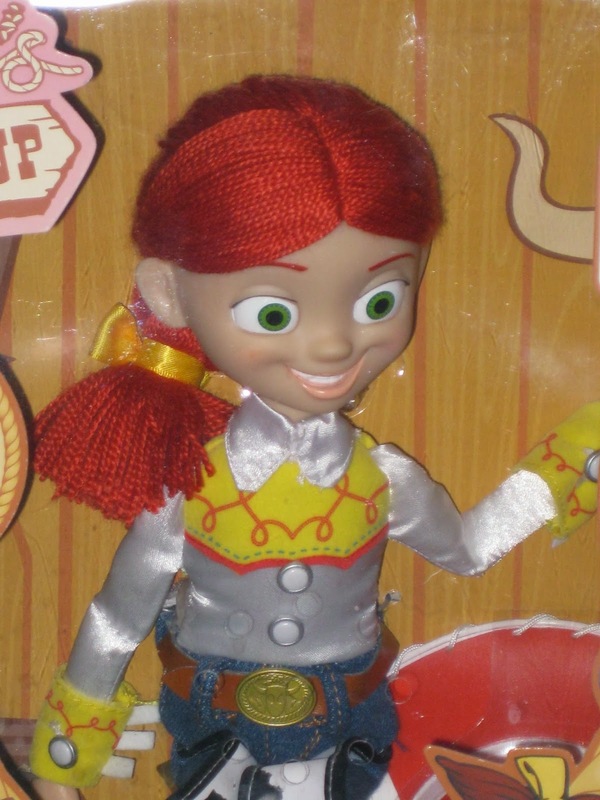 I do think is is is still probably the most accurate version of Jessie and I would recommend it to add to your collection as I don't know if there will be a Jessie with a more movie accurate expression any time soon...but who knows! 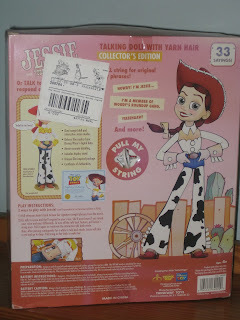 Again, like the rest of this collection, Jessie here comes with a certificate of authenticity plus a working pull-string with sounds, different modes of play, a removable hat, a beautiful yarn full of hair...I mean a hair full of yarn ; ), a display stand (which is a great addition that you may not find with any other version) and a Woody's Roundup box which is accurate to what it would have looked like in the film. 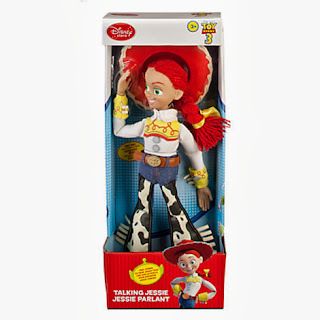 In addition to this version, like stated earlier, there have been MANY Jessie dolls produced since her character's debut in 1999. Next up is a series of images (none of them my own but from searching around eBay and Google) of previous versions. 1999 Thinkway Jessie: This is the first one I ever had (and still have, seen HERE)). 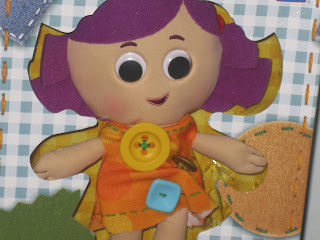 It did not even have yarn hair...it was plastic. But how's the face and the rest of her? Below is the Sing N' Yodel Jessie currently found at Toys R Us stores...fun, but probably not even trying to be the most film accurate. 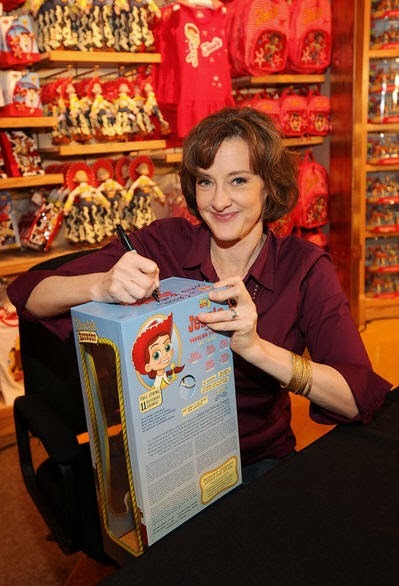 In 2010, Joan Cusack (the voice of Jessie of course) traveled to several Disney Stores across the US to sign the new Disney Store exclusive Jessie for the release of Toy Story 3 (the pictures below are from the Michigan Avenue Disney Store event- was anyone reading this there at this one or any for that matter?). This doll was a limited edition of only 2,010 to coincide with the film's release year. 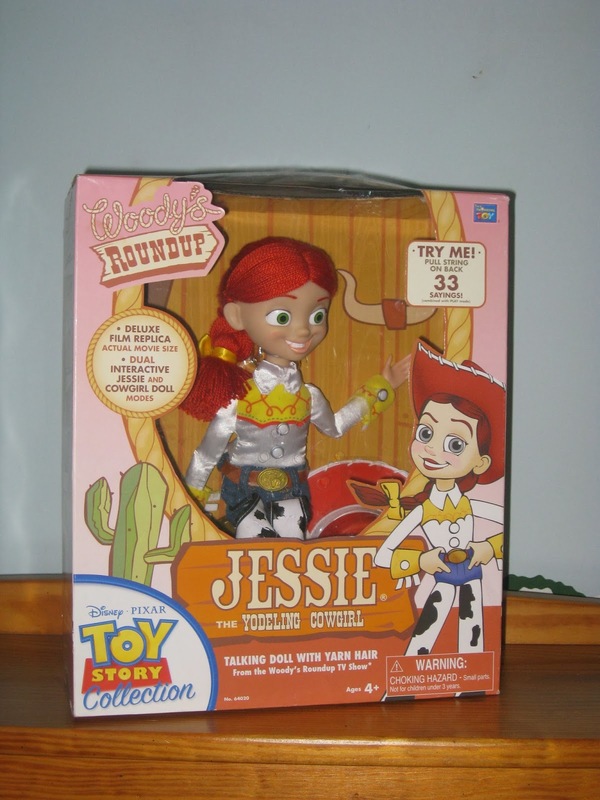 That being said, this Jessie below is a very fancy version and I think was marketed more as a girl's doll than a movie replica. It has very a very shiny outfit with lots of silk, beads, sparkles and rhinestones. 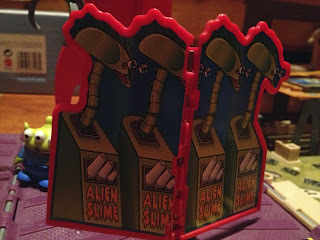 The box is pretty cool and it does have a pull string but I don't know if I'd personally try to track this one down if you're looking for an accurate replica from the film (and it sells for a LOT of money). 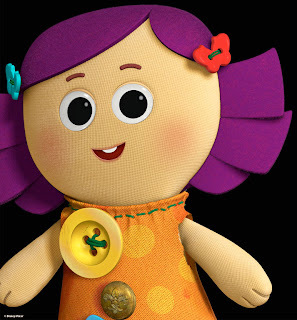 There has probably been many more Jessie's that I'm just not seeing right now so if you have any in mind that I missed, send me the link to a picture in the comments below and I'll add it. 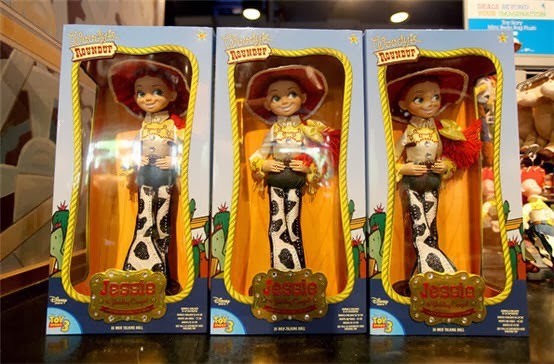 In your opinion, what is your favorite Jessie or the one you find the most movie accurate? Or maybe none of them good enough to buy quite yet and you're waiting for a more definitive version. Let me know for sure and thanks for checking out today's post! 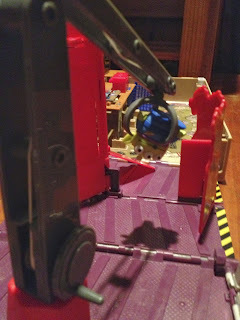 Following the TSC (Toy Story Collection) RC I showed a few weeks back (seen HERE), here is the TSC Rex released a couple of years ago! 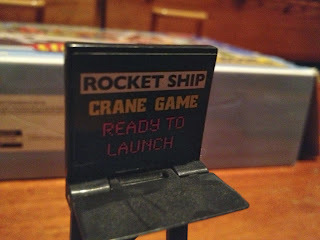 As always with this collection, this toy is exceptional quality...it's more like an electronic replica! 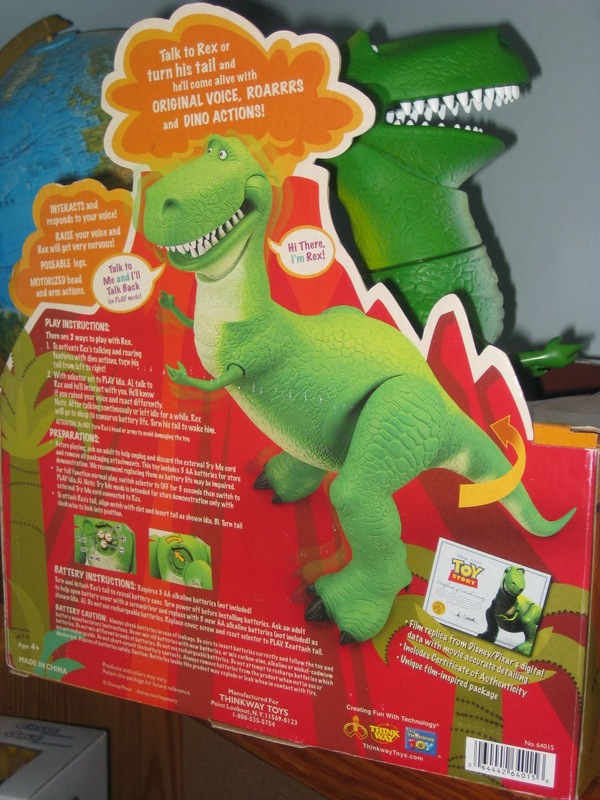 This Rex is one of the best ones made yet (made from Pixar's original digital data) and includes an official certificate of authenticity and is very movie accurate (besides the fact that Rex has no electronics or motorized features in the film, of course). 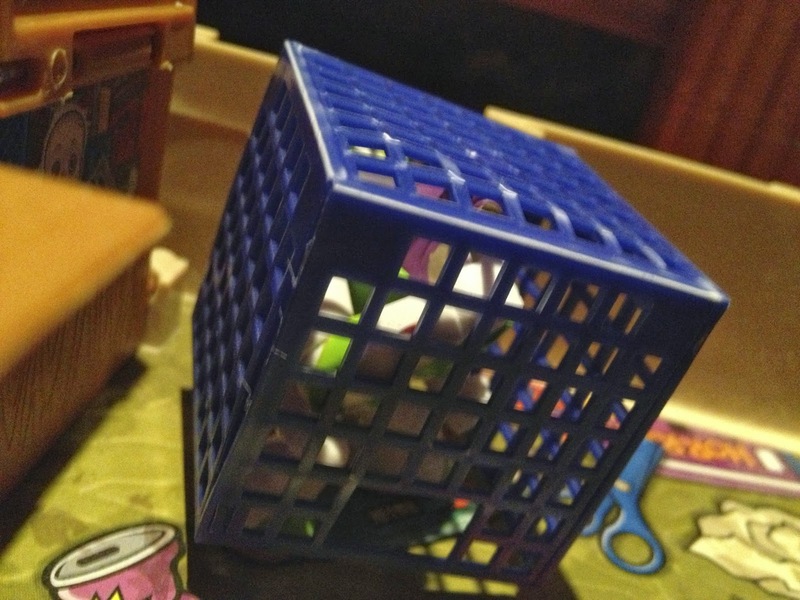 Even though we never saw the box that Rex came in in the Toy Story films, this is what the filmmakers over at Pixar imagined what the box would have looked like. Pretty neat design! It's as Rex is escaping a wooden crate somewhere in the jungle near an erupting volcano. 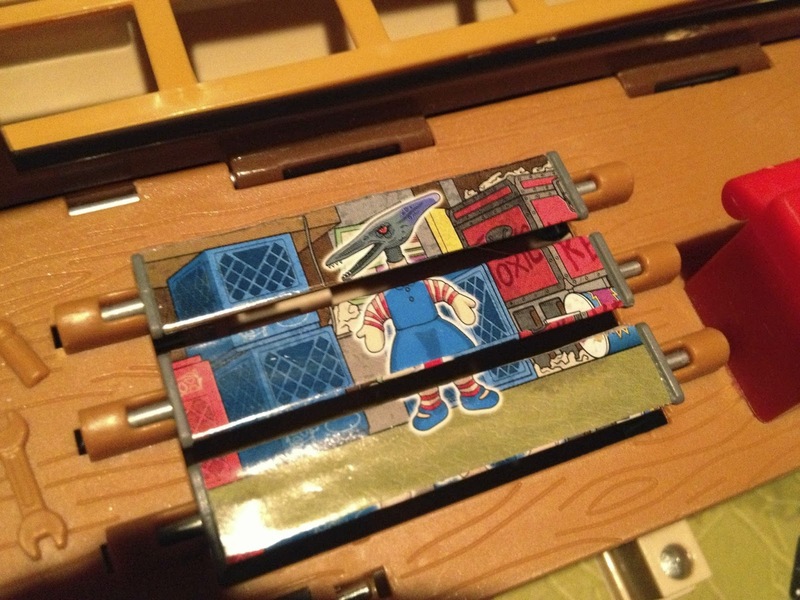 This Rex is on the harder side to find now and sells for over $100 on eBay currently. I haven't taken this one out of the package, just so I can keep him as nice as possible for now, so I don't have any loose pictures...but below are a few more packaged shots so you can get the idea. 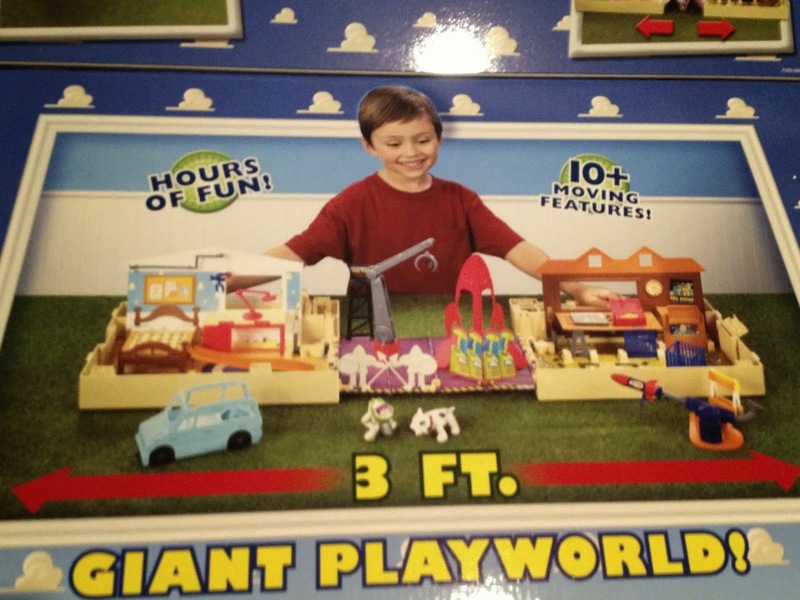 Click on the image above to see the back of the package which includes all the features included with this toy! And below is a short video to show you Rex in action if you haven't already. The Disney Store this year also released their version of Rex (seen below) which, in all honesty, looks even closer to the film because of the cheaper, shinier plastic...but the Disney Store one (which sells for only $25) is definitely a cheaper material, less durable and is a lesser quality product all around. UPDATE- the Disney Store Rex has been added to my collection (seen HERE). When I saw Pixar's short film La Luna in theaters last year, I was once again captivated by Pixar's signature magic and charm. 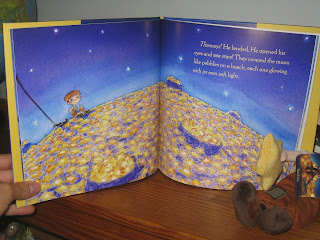 Besides the beautiful animation and imagery, one of the first things that came to my mind was that it felt like a classic children's picture-book style story...Like something I would have read when I was little. I thought, someone has got to make this into an illustrated book! In the fall time, the Disney Store did indeed publish it into a book with fantastic illustrations that really capture the film. It was just like I pictured! The book is written and illustrated with water colors by the director of the film himself, Enrico Casarosa. If you were able to get this Disney Store version when it was available (unfortunately I didn't think to take a picture of this when this was taken), you'll notice that it is signed by Enrico on the opening page! Very cool stuff. 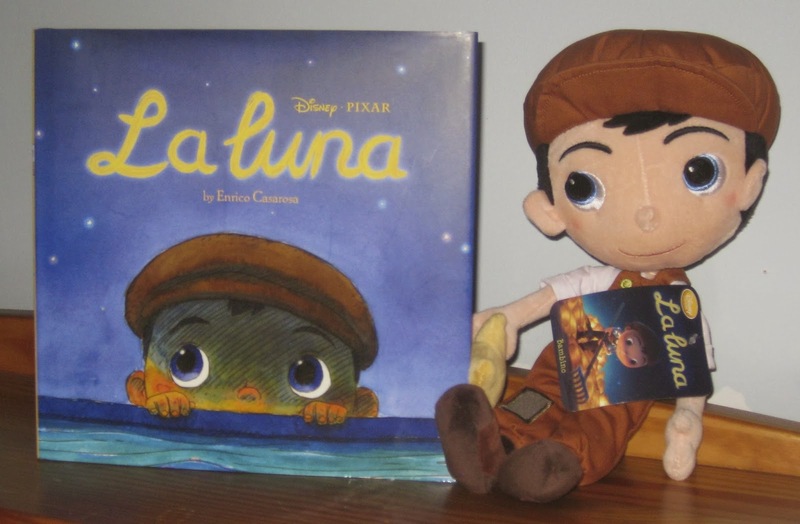 To go along with the book, the Disney Store also release a plush doll of the main character from the story, the little Italian boy Bambino! You were able to purchase them individually or as a set. Like most items from Pixar's short films, this book and plush have become very hard to find. The only version of the book found on Amazon for a decent price is the electronic one for the Kindle-which is $10. The hardcover copy, I was very surprised to find out, sells for over $300 new and over $150 used! I had no idea when I got this last Christmas that it would become so unavailable so soon! The Bambino plush is still relatively reasonable on Amazon or Ebay for about $30. These items are awesome additions to any Pixar fan's collection-especially if you're a big fan of La Luna! If you have happen to have an opportunity to snag this, go for it while you have the chance. This is kind of a funny post because it's, well, a little random...but hey! 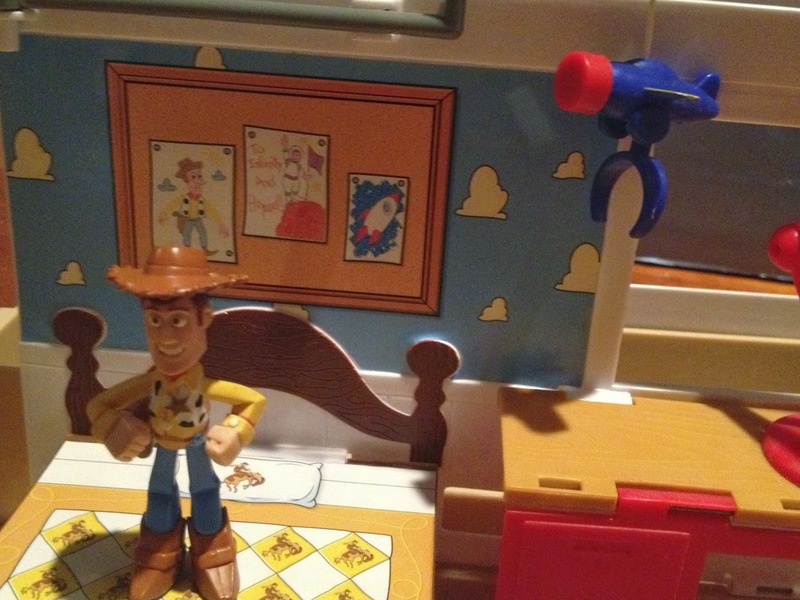 It's Pixar so it works. When I was back home this summer, going through all my childhood toys, I found these guys at the bottom of my puppet bin (now they are added to my main Pixar collection of course so they don't feel abandoned). 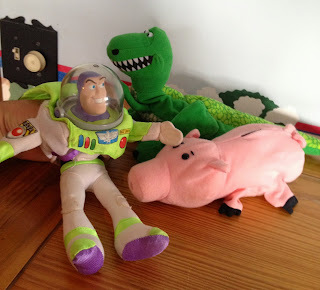 When I was little, I loved to collect puppets and, of course, I loved Toy Story. 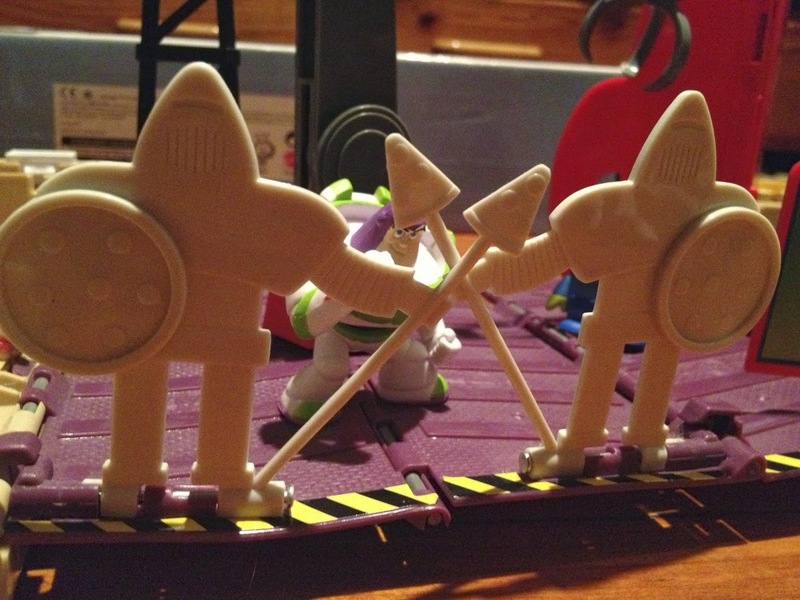 So I know exactly why I originally got these...Toy Story and puppets combined was just awesome to me I guess! These were originally available at Burger King back in 1995. I just looked them up on eBay and they're not hard to find or expensive at all if you wanna grab them for whatever reason, haha! So apparently, there were four total: These three and Woody! I guess I never got the Woody one. How could I miss him back in the day? Should I snag it on eBay for old times sake just to have the complete collection? 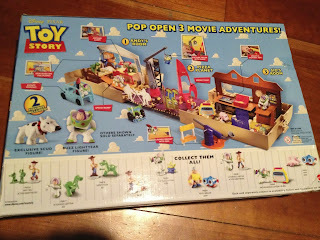 Yet another item in the Toy Story Buddy Pack collection, here we have the fantastic "Pop-Open Playworld" play set (or should I say three play sets in one) from Mattel! 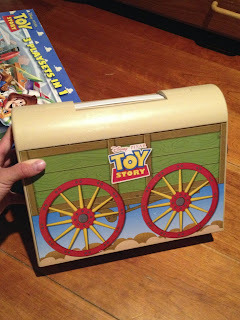 As seen below, it starts off as a relatively small storage case designed to look like Andy's toy trunk from the film. 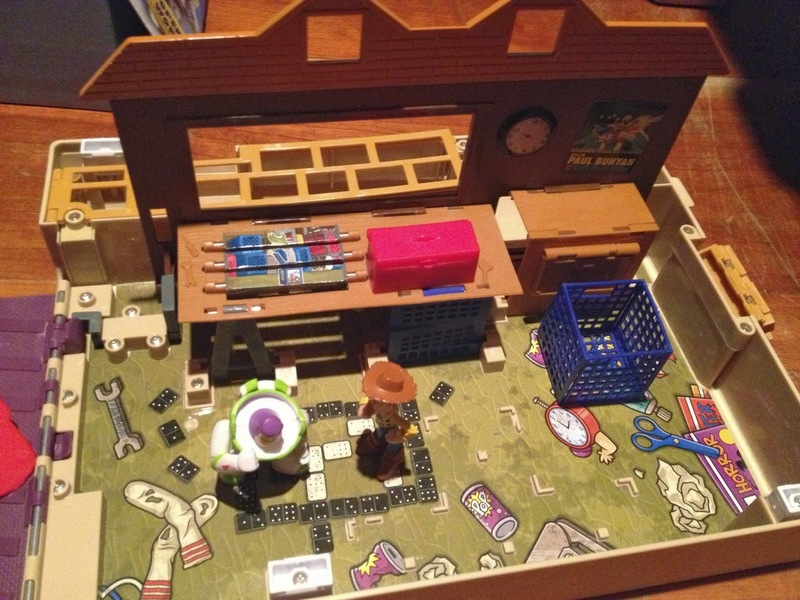 Pop open the case to reveal the three main location from the original Toy Story: Andy's room, Pizza Planet and Sid's room playsets! It's a really fun design and crazy how they were able to make all of it fit in there. 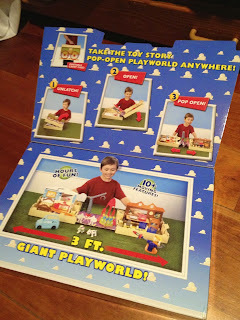 The playset turns out to be pretty big...bigger than I expected. 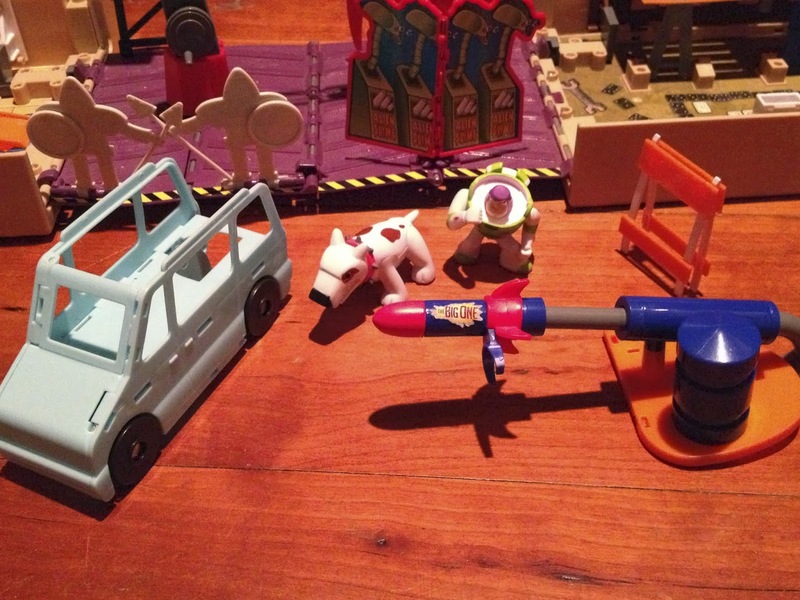 Play set includes two buddy figures (Buzz Lightyear and an exclusive Scud), a road hazard stand, "The Big One" rocket (which you can attach the Buzz to), Andy's Mom's van (folds down flat for easy storage), and rocket launcher (pull back to release the rocket and launch it into the van). 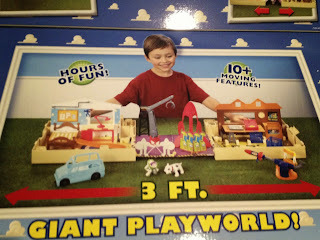 Any other buddy figures I show with the playset are sold separately. 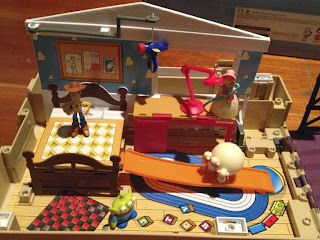 The first play set is Andy's Room! It includes lots of little movie details, the flying plane which you can attach Buzz to, pivoting lamp (to knock Buzz out the window) and part the orange Hot Wheels stunt ramp. Next in line is Pizza Planet! 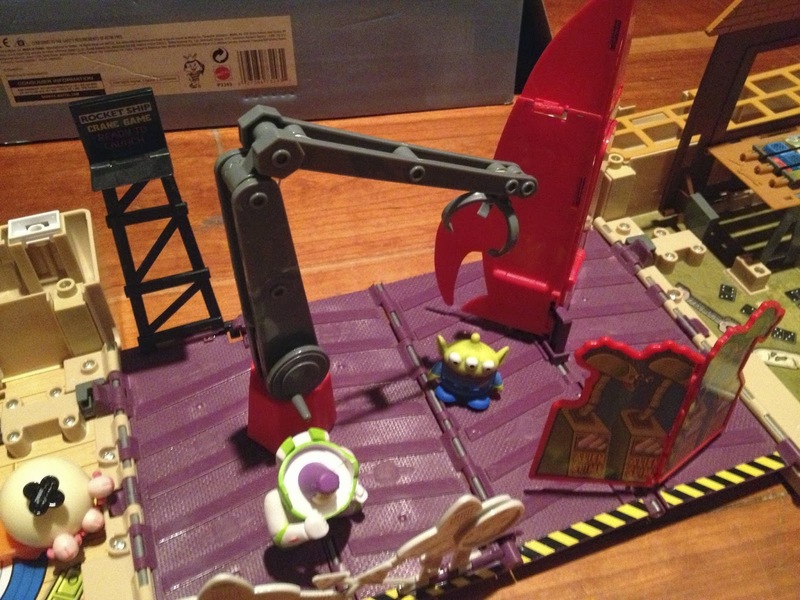 It includes features like a working crane/claw, the rocket that Buzz and Woody sneak into (with fold out ramp to escape), the Pizza Planet Robot guards, the alien soda machines and the sign that displays "Rocket Ship Crane Game: Ready to Launch." 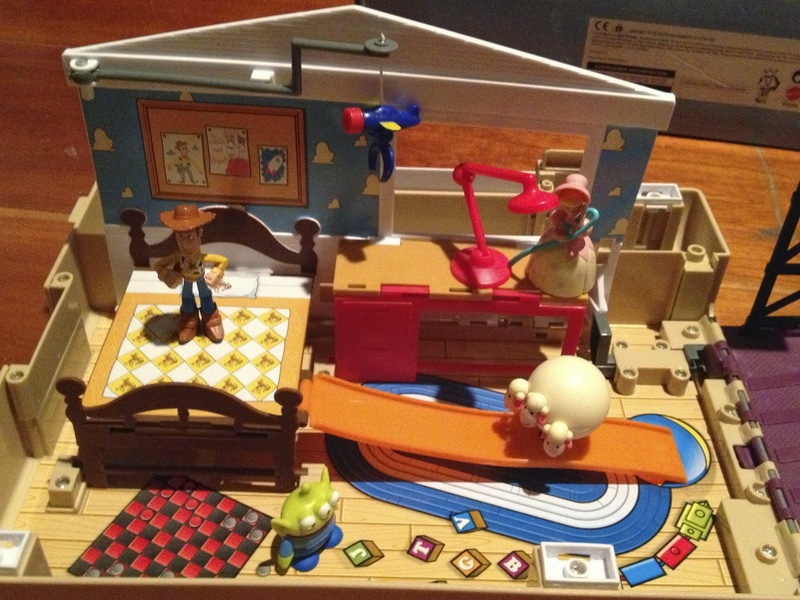 And the last playset is the one and only Sid's room! Again, lots of fun little movie details to find here. "Create a Mutant Toy" by flipping around these images on Sid's desk! Mix and match to create your own mutants. 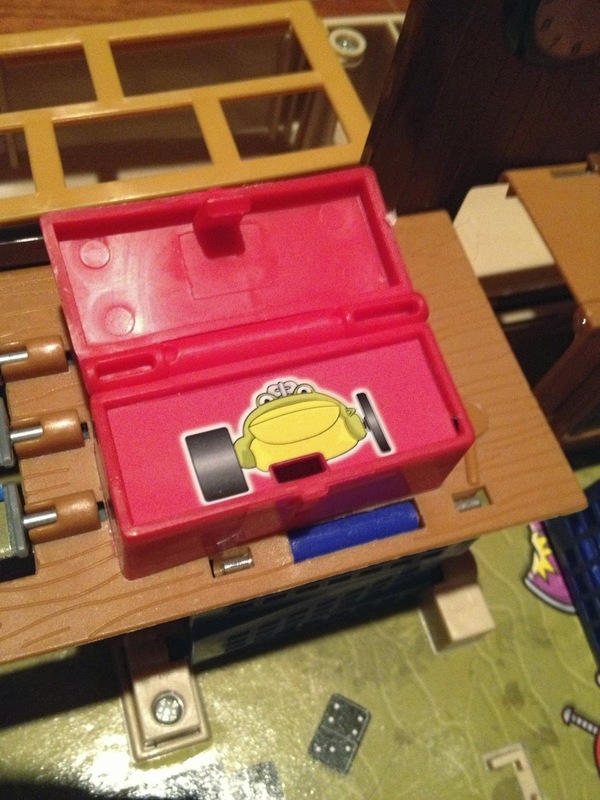 Who's inside Sid's toolbox? 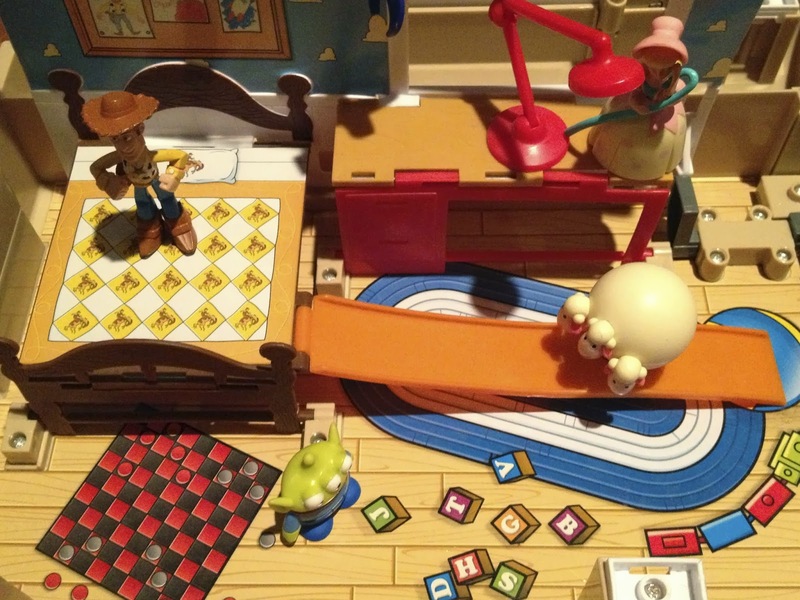 "Wind the Frog!" 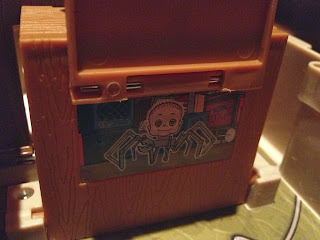 Lift flap to reveal the classic baby face mutant! Even includes Sid's crate to trap the toys under. This is a super fun, good quality play set that really captures the magic of Toy Story and a great way to display your Buddy Pack figures! This is a few years old and not usually found at stores anymore (in my case though my Toys R Us still has this as I guess it never sold...it's been there for a long time). You can find it new on Amazon for $70 currently, eBay new for over $100 and eBay loose for under $50. If you love play sets like me, definitely go track this one down! It's a must have for any Toy Story fan or Buddy pack collector.